The rugged Sonoma, California coast was a difficult place to navigate, with fog shrouded rocks causing the loss of many vessels engaged in coastal and trans-Pacific trade. Recognition of the area’s highly-valued timber resources in the 19th century led mariners and mill operators to use small indentations in the coastal cliffs and headlands, known as doghole ports, to load redwood lumber and other timber products onto small schooners and steamers. During the 2016 Sonoma Doghole Ports Project, archaeologists and divers explored the terrestrial and submerged remains of the ports' infrastructure and shipwrecks to illuminate the area's maritime cultural landscape. This survey was part of an ongoing partnership between California State Parks (CSP) and the National Oceanic and Atmospheric Administration (NOAA) Office of National Marine Sanctuaries (ONMS). 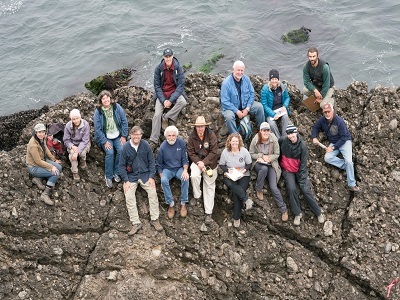 The Sonoma Coast Doghole Ports Project conducted 8 days of land survey and 5 days of simultaneous underwater survey in August 2016 visiting 11 doghole ports. 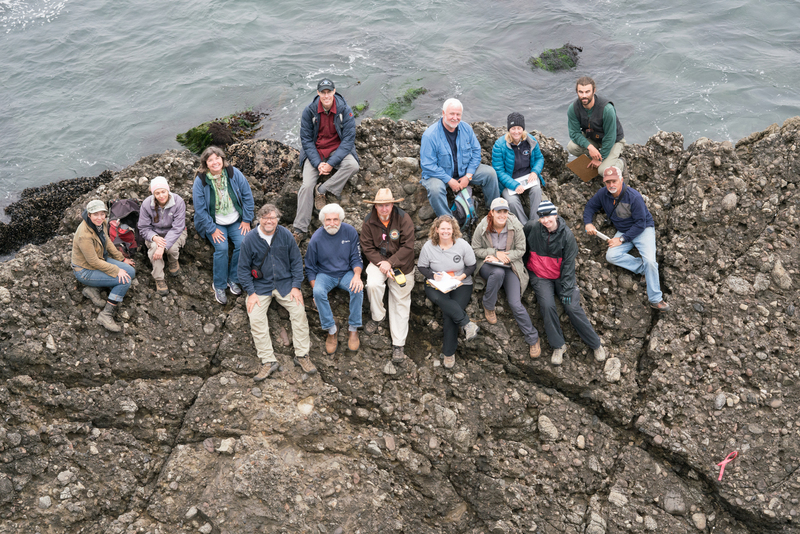 The project focused on the resources within the CSP system and NOAA’s Greater Farallones National Marine Sanctuary (GFNMS) to facilitate resource protection and interpretation of the historical and archaeological properties under each organization’s stewardship. Additionally, several shipwrecks associated with the lumber trade or the area’s larger maritime cultural landscape were investigated for site assessment and interpretation purposes. The project team included participants from CSP, ONMS, GFNMS, the Fort Ross Conservancy, Greater Farallones Association, National Park Service's San Francisco Maritime National Historical Park, Sonoma State University, and California Department of Transportation (Caltrans). The terrestrial team located lumber industry infrastructure at 10 of the 11 doghole ports visited. Archaeological sites were recorded at Duncan's Landing, Russian Gulch Landing, Fort Ross Cove, Gerstle Cove, Fisk Mill Cove, Timber Cove, Stillwater Cove, Stewart's Point, Bihler’s Landing, and Del Mar Landing. Gerstle Cove and Fisk Mill Cove lie within Salt Point State Park, the Fort Ross lumber loading features are within Fort Ross State Historic Park, and Duncan’s Landing and Russian Gulch are located in Sonoma Coast State Park. Due to the difficulty in accessing Rule’s Landing in Sonoma Coast State Park, the project personnel did not complete a survey of this doghole port. The underwater survey team based its operations off the ONMS West Coast Regional research vessel Fulmar. 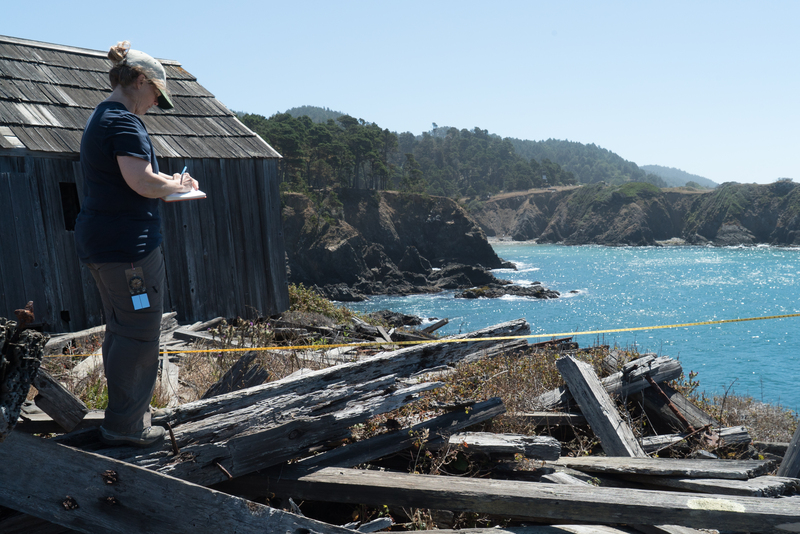 Archaeologists and divers conducted operations at 4 doghole ports (Fort Ross, Gerstle Cove, Fisk Mill Cove and Duncan's Landing) and located submerged infrastructure at Fort Ross and Gerstle Cove. In addition to investigating the lumber industry infrastructure, archaeologists also sought out several shipwrecks in the area, tentatively locating the remains of the steam schooner Acme on shore in Kohlmer Gulch, part of Fort Ross State Historic Park. Divers visited the National Register listed steamship Pomona shipwreck in Fort Ross Cove documenting its condition. Exploratory dives at various locations on the Sonoma Coast focused on the schooner J. Eppinger, bark Windermere, and wrecking steamer Whitelaw. While the remains of those three shipwrecks were not found, the team confirmed the location, from reports by recreational divers, of the ship Joseph S. Spinney near Russian Gulch in GFNMS. 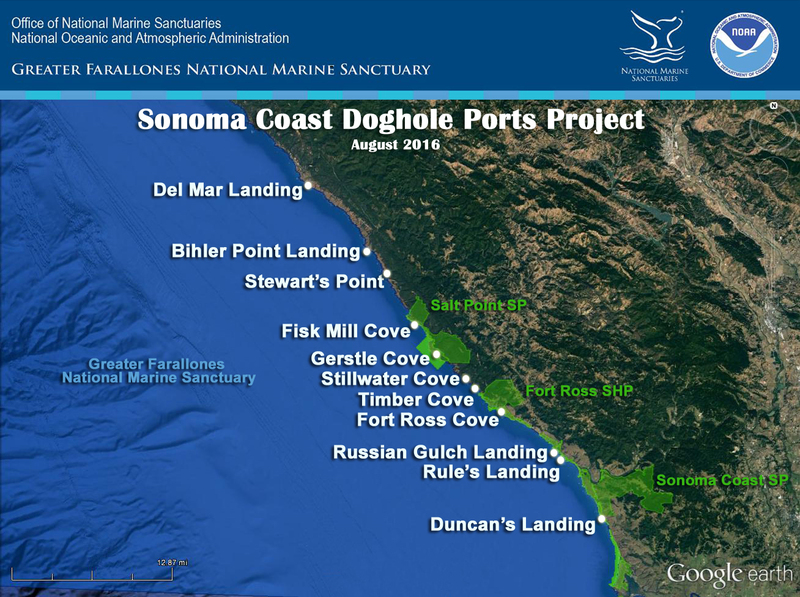 Doghole port locations in Sonoma County investigated during the 2016 project. 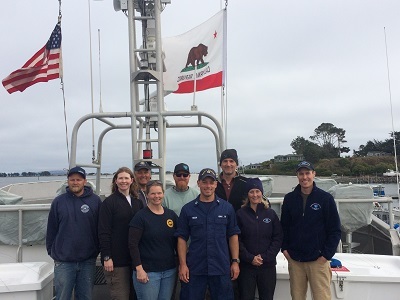 Team members based on the R/V Fulmar for diving operations were from ONMS, the NOAA Corps, CA State Parks, and Cardinal Point Captains. The project’s land crew consisted of archaeologists and researchers from California State Parks, ONMS, GFNMS, San Francisco Maritime National Historical Park, and Sonoma State University. CSP archaeologist Denise Jaffke records the wooden remains of a lumber chute at Stewart’s Point. Winter 2016 Society for Historial Archaeology article on doghole port project.